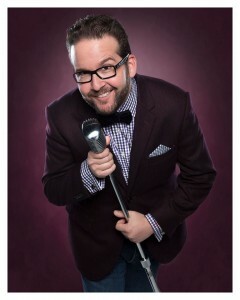 Jon Levine is a standup comedian, emcee, actor, and podcaster from Fort Lauderdale, Florida. Jon has performed in a multitude of standup shows across the country as the host, guest, and featured comedian, as well as numerous corporate and private events. Jon has been the emcee at Belushi’s Comedy Club in Fort Meyers, the Comedy Zone Sunny Isles Beach, and the Improv in West Palm Beach. Additionally, Jon is the co-host of the Coming Up Short weekly podcast and Tuesday morning guest on the Wake Up Late with Dougie radio show. Jon’s comedy is smart, clever and timely. He covers subjects from current events, to dating, technology, society and more. Personally, Jon is 42, single, and live in Fort Lauderdale with his dog Nickel and cat Mr. Cheese. He’s been a grocery bagger, a movie usher, a waiter, a bartender, a producer, a reporter, a sportscaster, an internet entrepreneur, a director of marketing, and now, a comedian and actor. It has always been there. I had always been a performer whether in front of the camera when I worked tv news and even younger when I did commercials as a kid. I always felt that being a standup comedian was a different skill than just being funny in front of your friends. When I heard there was a class at the Improv I thought I’d take to see if it was different or if I could be as funny on stage. Thomas Edison, Ben Franklin or Albert Einstein; someone that is very scientifically minded. I would take them somewhere they can marvel in the technology that has come along since they died. Things that we take for granted that they would be amazed at. I think a place like a modern airport would show off many of those technologies. From the jets to the wireless internet to the full color touch screens and more. I think 30 minutes in an airport would blow their minds. Locally: Matt Bellak; he’s a brilliant joke writer and is able to create a joke from a story and communicate it to the audience so that everyone can relate to it without making it long and drawn out. Perry Sak; he’s very dynamic and there is a lot of energy that comes off the stage when he’s on plus he is fun to watch. Bill Burr; he’s brilliant and his stories have a lot of jokes in it and Bert Kriesher is hilarious and John Mulaney. 4) How did you pull off getting into the World Series of Comedy and what did you learn from it? I sent in the tape last year and I didn’t get selected. I tried again this year and got selected for it. I learned that there was too much ‘intro’ in my first tape and it was too long before I told my first joke. I cut that down in the most recent tape I sent that resulted in me getting selected. I also was sure to put my very best performance in the second tape that was well shot, with great video and audio. As far as what I learned: you really need to take into account where you are performing when deciding on what jokes to do. I didn’t take that into account at all and I put together a set of what I thought were my best jokes. I realized a few minutes into the performance that those jokes weren’t necessarily were the ones that would work there. I should’ve taken into better account where I was telling the jokes before I selected what jokes to tell. 5) What types of foods do you enjoy eating when you have time to cook? I’ll eat a lot of fish especially since there is an abundance of it since we live in South Florida. I enjoy eating healthy, even though I don’t do it all the time, and I am a big vegetable eater. 6) You do commercials and acting; what is your motivation? My goal is to make a living by performing. I found that the acting and standup go hand-in-hand. When you look at the amount of money that you can make doing standup comedy (which is barely above zero) I felt I had to do other things to supplement. I feel that acting could help me further my goal of being a performer for a living and so far it’s definitely helped. Get up on stage as much as you can. Don’t worry about all the nuances and trying to be perfect. Write what you think is funny and get up and perform it. The more you do it the more you will learn what do. Make sure to record everything whether audio or video, listen to it and learn from it. It’s not as much of a meritocracy as I thought it would be. I always thought it would solely be about talent and that alone would determine if you advanced. Unfortunately, like many other things, it’s not just about talent. Relationships, who you know, how long you’ve been doing it come into play a lot more than I thought they would. 9) What do you love about stand-up comedy? I love being on stage and entertaining people and I love the feeling of accomplishment when you are able to make people laugh from a joke that you wrote. I also love the social aspect of the comedy scene and that I met a lot of new friends since becoming a comedian. I enjoy being around a lot of other people that are fun to be with. 10) Why should people listen to the “Coming Up Short Podcast”? It’s good insight into the South Florida comedy scene and I think it’s entertaining from the standpoint of getting to know a different comic each week. You get to learn who they are, why they got into comedy and what do they want out of it.